Online gambling has made a significant impact on the casino industry, with more players turning to the convenience of their computers or mobile devices to enjoy placing real money bets from the comfort of home. Here’s how to spot the best online casinos, make safe deposits, and play games for real money no matter which country you live in. It should be legally licensed by a reputable gambling jurisdiction like the UK, Malta, Gibraltar, Alderney, Isle of Man, Curaçao or Antigua. Games should be regulated by a reputable third party authority like eCOGRA. There should be plenty of game variety, with games available from leading software providers like Microgaming, Net Entertainment, BetSoft, Play’n Go, iSoftBet, Evolution Gaming, Thunderkick, Ezugi, QuickSpin, Elk Studios and NYX Gaming. Safe deposit options should be available in a range of currencies using secure, reputable payment methods. The easiest way to know you’re playing at a safe and reputable casino is to play at the sites recommended here at RealMoneyGamble.com. The casinos we endorse are the best in the industry, undergoing stringent testing and scrutiny before getting our tick of approval. Australia: online gambling is prevented in Australia under the Interactive Gambling Act (IGA) of 2001. Under the IGA, Australian online vendors are banned from offering their services to players within the country, however there is nothing with in the Act preventing Aussies from being able to gamble at offshore venues. Australians can legally and safely gamble for real money at an Internet casino as long as it is located overseas and is legitimately licensed in its country of operation. New Zealand: like Australia, New Zealanders are legally allowed to place real money bets at online casinos, provided the casino is operated internationally. UK: in 2003, the UK laws regarding gambling underwent an overhaul to bring regulations up to date with modern demands and expanding technology. The UK Gambling Commission was created to replace the outdated Gambling Board, allowing players to legally gamble online provided the casino in question is fully licensed and regulated, there is no link between criminal activity and players are over 18 years of age. USA: the Federal Wire Act of 2002 was introduced in America to prohibit the electronic transmission of information for the purposes of sports betting. While the Wire Act doesn’t specifically exclude online casino games, the Federal Department of Justice continues to publicly declare all forms of online gambling are banned under the Federal Wire Act. In 2006, the Unlawful Internet Gambling Enforcement act was passed, making it illegal for American banks and financial institutions to process payments to online gambling sites. 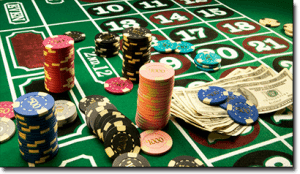 Today there are a few offshore casinos which continue to legally offer their services to American players, although deposits may require the use of unfamiliar payment methods. Canada: Canadian law prohibits online gambling, however only at establishments owned and licensed by a provincial government. Like Australia and New Zealand, this means Canadian residents can play for real money at an online casino provided it’s is run and licensed outside of Canadian jurisdiction. Many online casinos around the world accept Canadian players. India: gambling laws in India are complex as each state operates under its own authority, with no centralised law applying to the entire country. Online gambling is illegal in Maharashtra under the Bombay Wager Act, while other states remain unclear but carry the general consensus online gambling is not allowed. The Federal Information Technology Rules in India have seen internet providers blocking the use of online gambling sites and real money gaming is now considered risky. Japan: gambling is completely illegal in Japan, with land based casinos strictly prohibited. Several online casinos now cater to the Japanese market, as there are loopholes which allow Japanese players to gamble at foreign casinos. Japanese gambling laws are currently hot topic, with speculation gambling will soon become legal as a way to boost tourism and the Japanese economy. China: gambling is officially illegal in China, although there are some legal state lotteries available. Technically, online gambling is prohibited and most online casinos are blocked by the government, however many Chinese players still choose to bet at offshore casinos without technically breaking Chinese law. Several foreign run casinos continue to offer services to players in China. One of the major benefits to playing at an online casino is you’ll find much more game variety than you could ever get in a land based casino. When gambling in real life, you’re restricted to whatever games the casino has chosen to offer, which typically means games with the highest house edges. Slots – classic slots, video slots, 3D slots, progressive jackpot slots, three-reel slots, five-reel slots, all-ways slots (243 way, 1024 way, 3125 way), MegaSpin slots. Popular titles include Mega Moolah, Guns N Roses, Starburst, Game of Thrones, South Park Reel Chaos, Mega Fortune, Bridesmaids, Jurassic Park, Jack & the Beanstalk, Bridesmaids, Avalon, Thunderstruck II and The Dark Knight. Blackjack – Classic Blackjack, Multi-Hand Blackjack, European Blackjack, Vegas Strip blackjack, Atlantic City Blackjack, Perfect Pairs, Super 7 Blackjack, Pirate 21, Double Exposure Blackjack, Live Dealer Blackjack. Roulette – European Roulette, American Roulette, French Roulette, Multi-Wheel Roulette, Immersive Roulette, Premiere Roulette, Live Dealer Roulette, Spingo. Other games – baccarat, craps, poker, scratch cards, keno, lotto, bingo, virtual sports, virtual racing. Online casino games can be accessed directly over your web browser in instant-play mode, or by downloading exclusive casino software at some Microgaming powered casinos. Mobile play is also available for selected casino games on Apple and Android tablets and smartphones. To fund your account safely, make sure you’re playing at a legitimate and licensed casino, like any of the sites recommended here at RealMoneyGamble.com. These are trustworthy casinos protecting all financial transactions using a minimum of 128 Bit SSL (Secure Socket Layer) encryption technology, the same digital security used by leading financial institutions. You can tell if a casino banking site is protected by SSL security by looking in the URL bar where you’ll see the addition of a padlock symbol and the inclusion of an ‘s’ in the standard http:// code.